Is Coinbase a Safe Wallet to Store and Secure Your Coins? The Answer. Is Coinbase a Safe Platform to Store and Secure Your Coins? Even now in 2019, Coinbase is still one of the most well-known and one of the most used platforms to buy and sell coins; being one of the first few exchanges to have a huge positive impact in the adoption of bitcoin and cryptocurrencies in general. But the question is, is Coinbase actually a safe platform to store and secure your bitcoin and ethereum? Coinbase was founded and was up and running since 2012 up to today, without getting hacked or compromised even once(as far as we know). Running a platform for half a decade without running into security problems is definitely something for Coinbase to be very very proud about; knowing that bitcoin and cryptocurrency exchanges has always and will always be a very hot target for hackers, as hackers could potentially get away with millions and billions of dollars worth of coins and tokens when executed successfully. Coinbase’s bug bounty program – Instead of the hackers trying to steal coins from Coinbase whenever they found vulnerabilities, they can simply report the vulnerabilities to Coinbase instead, so they can get paid instead. This way, the money they earn is actually clean, and they wouldn’t need to make risky attempts of selling the stolen coins without getting caught. On the February 14th of 2019, Coinbase paid someone a massive $30,000 bounty for a critical bug that was found on their system. Coinbase’s cold storage – as stated and claimed on Coinbase’s insurance page, Coinbase holds 98% of the funds they’re holding on their offline cold storage. If Coinbase ever gets hacked, this could dramatically lower the amount funds that could potentially be stolen. Clearly, security is one of the things Coinbase takes really seriously, which is something that most exchanges should be prioritizing in the first place. But is it actually a good idea to leave your coins on Coinbase, an exchange? No. While Coinbase looks secure enough like stated earlier in this article, leaving majority of your funds that aren’t being traded on exchanges is almost never a good idea. Why? Like said earlier, bitcoin and cryptocurrency exchanges has always been a very hot target for hackers, as hackers could potentially get away with millions and billions of dollars worth of coins and tokens when they successfully cracked a certain exchange’s security. But is Coinbase being hacked a possibility? While it might definitely be unlikely to happen, yes; it’s very very possible. In general, nothing is 100% unhackable. Even Google and Facebook is technically possible to hack. But due to their top-notch security, they just make it really hard for hackers to crack them. If you really think Coinbase is very secure, well, people in the past thought the same with MtGox and with Bitfinex. Well, both exchanges has been hacked in the past, each exchange losing more than a hundred thousand of their user’s bitcoins in the process. While this quote is directly referring to bitcoin, it should apply to pretty much every single cryptocurrency. Only use wallets whereas you have control over the private keys/recovery seed, as that way, even if the exchanges you use gets hacked, your coins doesn’t get lost along with it. Another reason is that one of the main selling points of bitcoin is that it’s unconfiscatable. When you leave your funds on centralized exchanges, it defeats that purpose. Exchanges in general can lock up your account(s) regardless if you did something wrong or not. A lot of people think that this easily fixed by simply submitting a support ticket to the exchange, but in some cases it’s not. This occurrence has happened a lot more than most people think. Use exchanges for their sole purpose, as a platform to exchange your money for some bitcoin and other cryptocurrencies. Simply withdraw your funds after every transaction using exchanges like Coinbase, the same reason on why you wouldn’t leave your hard-earned money on money remittance centers and money exchangers. Instead, you simply withdraw the cash and lock them up in your personal safe, or you store them in your bank. Same thing should be done with bitcoin. Simply send them over to your personal wallet whereas you have control over the private keys. Where do I keep my funds instead? Mobile wallets are wallets that, by it’s name alone, are wallets that are installed on your mobile phone. Mobile wallets are great simply because you have your funds with you at all times, because chances are, that your smartphone is with you at all times. While Mobile wallets are great, we only suggest leaving funds on mobile wallets if your coins doesn’t cost that much. If you’re holding huge amounts of bitcoin or cryptocurrencies, we heavily suggest investing some money for a hardware wallet instead. Why not desktop wallets? Especially if you’re using a Windows device, computer systems are a lot more prone to viruses compared to your phone. Malware and viruses that are mainly focused on trying to steal your coins are quite common nowadays. Losing your coins due to a malware/virus on your computer is one of the most common ways on how people lose their coins. Lack of security – while using a good mobile wallet is safer than using a custodial wallet, the security of mobile wallets may not be enough especially if you’re holding a significant amount of coins. While difficult and quite unlikely, mobile phones in theory can still be infected with malware and viruses. For people who hold a good amount of bitcoin and cryptocurrencies, we heavily suggest getting a hardware wallet. Hardware wallets are small devices made specifically for securely holding bitcoin and cryptocurrencies, and is small enough to fit in your pocket. We heavily heavily suggest using a hardware wallet instead, if you’re holding a significant amount of bitcoin or cryptocurrencies. A hardware wallet is definitely your best choice for holding coins and tokens without fearing of getting hacked. High security – your wallet’s private keys never leave the device. Hence, you could really do transactions even if the computer device you’re using is infested with malware and viruses, as long as you make sure that the coins are being sent to the right address. 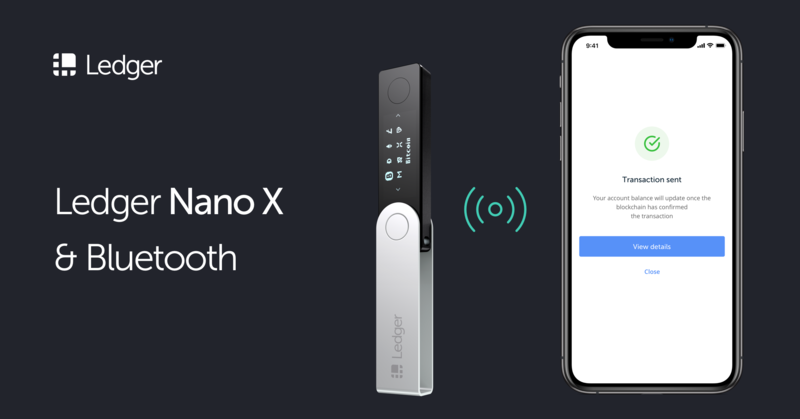 Less convenient – You need to plug in your hardware wallet to your computer to make a transaction; though fortunately the new Ledger Nano X has bluetooth functionality, giving you the option to send transactions using your mobile phone instead. If there’s one thing that we want you to remember from this article, is the quote “not your keys, not your bitcoin“. The only way to have total control and significant security over your funds, is to use a wallet that gives you access to your private keys/recovery seed. That way, even if every single exchange gets hacked, your coins will be untouched.